Health and fitness are major concerns for most seniors, usually because they’ve spent decades ignoring those topics. If that includes YOU, at what age did you decide your fitness level wasn’t a priority? Fortunately in most cases it’s not too late – you can start taking back your health and fitness at any age! From treadmills to exercise machines to free weight areas, more and more people over 60 are turning up regularly at gyms and working out regularly. Most marathons these days have athletes 60 and older joining them, and the half-marathons see even more seniors taking part. And golf courses, tennis courts and squash courts are often populated with seniors, both for their enjoyment and to help them get and stay fit. But if your physical condition isn’t up to extreme senior sports, the good news is you can start much more simply. Health and fitness require proper exercise, nutrition and sufficient rest to recover fully. But seniors don’t need to jump into major changes to improve their lives – even small changes add up over time. What’s your current activity level? If the bulk of your exercise is walking from your couch to the bathroom, taking a walk around the block each day would be a good start. If mobility isn’t an issue for you, how long has it been since you rode a bike regularly? If mobility is an issue, instead think about modest exercise – there are plenty of bodyweight exercises and stretches you can do at home without lifting weights. Does your community have recreation centers? If they have a pool there you can easily enjoy yourself while working on your fitness level, and many have in-pool exercise classes for seniors as well. Any nervousness you feel about starting to exercise in front of others will most likely fade quickly as you experience the social benefits of exercising with other seniors from your local community. Socializing with a group of like-minded peers your own age will also help you stick with it and heighten your sense of accomplishment as you advance. And remember, when you’re physically ready, the gym is always going to be there to welcome you! If you want to start lifting weights at home, it’s as easy as starting off with a pair of dumbbells bought at your local sports store or department store. If you’re feeling more adventurous, talk to the manager at any local gyms – more and more personal trainers are taking special training in working with seniors (thanks to the large baby-boomer demographics), and it will certainly help you get started on the right path if you hire one for at least your first few gym sessions. When lifting weights it’s best to start with shorter, lighter workouts and progress from there – you’re going to be asking your body to move and stretch in unfamiliar ways, so don’t overdo it in the early stages. As you can see, fitness for seniors can take many paths, and all of them can be started easily and build from just a small initial effort. Take back your health starting today for a longer, happier life – the benefits to YOU are myriad! Ectomorphs are called hardgainers because, well, it’s hard for them to gain muscle. Having a taller, thin body with small wrist and ankle joints is a dead giveaway that your frame isn’t genetically-optimized for building and carrying a lot of muscle – but that certainly shouldn’t hold you back when it comes to becoming a bodybuilder, because EVERYONE can build and maintain lean muscle mass! Ectomorphs will never win the Mr. Olympia title – but neither will 99.999% of other bodybuilders either. All over the world there are bodybuilders working hard in the gym for a thousand hours a year while eating right, sleeping right and taking all kinds of supplements and performance-enhancing drugs (PEDs) – and at that level you need everything to be on point – including your genetics. But building muscle, have a great body and looking great in the gym or on the beach can be achieved by hardgainers, even without the genetics of a gorilla or truckloads of PEDs. Most likely you already have one major advantage over other bodybuilders – very little bodyfat. Typically a hardgainer has a fast metabolism and is no more genetically predisposed to carrying much bodyfat than he or she is to building muscle. So as you visualize the body you want to build, picture yourself with a bit less bodyfat than you’re currently carrying and with more muscle mass. How much more? That’s going to depend on YOU – how relentless you are in your pursuit of a bodybuilder physique. As a skinny guy trying to build bigger muscles, you have to train smart and stick to the proven principles. Make sure the bulk of your workouts are focused around the big compound lifts – squats, deadlifts, bent rows, bench press and overhead presses. Yes, you’ll want some isolation exercises for arms, abs and calves, but keep the bulk of your energy & time focused on the lifts that are the proven-best muscle mass builders. And keep your ego in check – constantly trying for new personal record lifts (PRs) will hold back your gains. Endomorphs and some mesomorphs might gain noticeable muscle size from powerlifting workouts, but most ectomorphs will simply get a lot stronger without getting much bigger from that style of training. Rest between sets is important too. 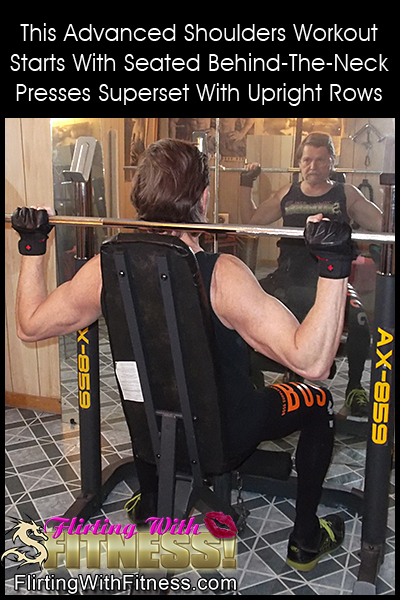 You’ll see a lot about time-under-tension (TUT) that suggests you keep intra-set breaks to 30 or 40 seconds max, but that’s not always the best advice for true hardgainers – resting 30 seconds between sets burns 50% more calories than 3-minute rests according to Dr. Jim Stoppani. While a high volume of sets and 3-minute breaks per set would take way too long, aim to get about a minute rest between sets. Keep your form strict, and use weights that let you get 10 or 12 reps on your first few sets without breaking form, but that only let you get 6 to 8 reps on your last couple of sets. 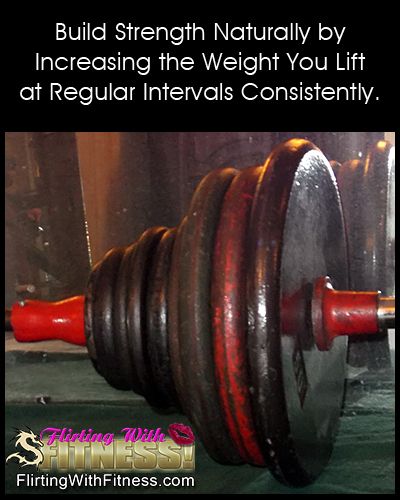 If, on those last couple of sets you can’t get 6 reps then the weight is too heavy. Conversely, if you still get to ten reps on your last set keep going to failure on that set, then increase the weight for your next workout til you’re back in that 6-8 rep range for your last set. In many, if not most cases, hardgainers’ fast metabolisms allow their bodies to repair themselves fairly quickly. Because of that, be sure to work each bodypart at least twice per week – in fact, a full-body workout on 3 non-consecutive days is often ideal. 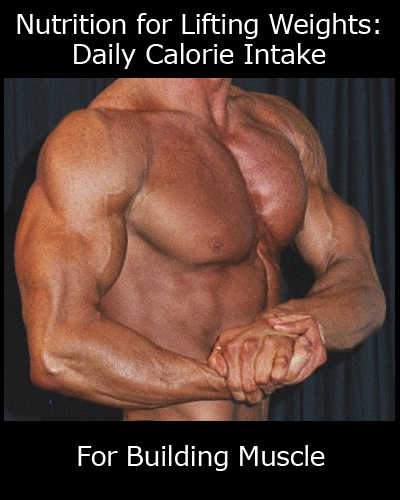 Anyone trying to be a bodybuilder needs to consume plenty of calories every day – and hardgainers need to consume a LOT more clean calories than others would. Yes, you have tons of energy. That’s courtesy of your faster metabolism and it’s habit of burning glucose, glycogen, carbohydrates and protein to keep you supercharged. But let go of the concept that you ‘can eat anything’ – that’s a common myth amongst hardgainers because they don’t put on much bodyfat from a poor diet. You need to understand that too many simple carbs on a regular basis can dull your insulin receptors. Not only can that lead to Type 2 Diabetes down the road, but insulin is the main transport for glucose into the muscles where that glucose is stored as glycogen and is used to fuel muscle activity. Instead, plan to eat a cleaner diet with plenty of protein, complex carbohydrates and healthy fats. Start by figuring your daily requirements using this simple formula: you want to consume 15 calories for every pound you weigh – so at 150 pounds you’d start with 2,250 calories per day. You want at least 1 gram of protein per pound of bodyweight, and in our example that 150-pound person would eat 150 grams of protein, meaning 600 calories would come from their daily protein intake. Twenty to twenty-five percent of their calories (450 – 560 calories) should come from healthy fats, so that means the remaining 1,090 to 1,200 calories should come from carbohydrate sources like yams, brown, red or black rice, oatmeal and greens. Remember, though, that your goal is to become a bodybuilder with plenty of lean muscle mass – which means you don’t want to stay at that 150 pounds. Once you’re nutrition is on point as detailed above, you can start adding in more calories. Start by adding 500 calories to your day and give it a couple of weeks to see the results. If you’re building muscle without adding belly fat, add another 500 calories the following month, etc. If you have trouble eating bigger meals, get the extra calories from adding a meal or two to your day – eat 4 or 5 times a day instead of 3 times per day. In most cases, hardgainers don’t eat right and don’t eat enough. Don’t be that guy or girl – pay attention to proper nutrition and be sure to consume all your required calories every single day! One great truism for bodybuilders is that muscles are worked in the gym, fed in the kitchen and built in the bedroom – while you sleep. Not getting enough sleep will prevent you from every being a true bodybuilder – remember, as an ectomorph you need everything to be just right in your routine. There’s no sense to putting a ton of effort into your workouts and tearing down the muscles if you’re not going to feed the muscles right and then sleep long enough to allow your body to repair and rebuild those muscles, making them bigger to meet the anticipated progressive resistance they’re going to face in future. In today’s real world very few people can get 8 or 9 hours of sleep every night, but you can certainly come close if your goal as a skinny guy or girl is to become a bodybuilder. You don’t NEED to be on social media for hours every night, you don’t NEED to be texting friends til all hours of the night, and you don’t NEED to hit the clubs every single weekend. A busy social life won’t get you the muscles you want – but smart training, proper nutrition and 7 – 9 hours of sleep every night will. It all comes down to how badly you want it, right? For example, chances are they have a large selection of pre-workout potions and pills. But with your fast metabolism and all the carbs you’re eating, you’ve already got more energy than you know what to do with, coupled with the determination that you’ll do WHATEVER it reasonably takes to pack on bigger muscles. So just what SHOULD you consider? First and foremost, find a good whey protein or whey isolate powder. I don’t advise getting one of the high-calorie weight-gain protein blends, since most are jam-packed with simple sugars. Instead, look for a good, clean source of whey, and choose a flavour you like. Mix it with water or 2% milk, and have one each morning on rising since your body has no dietary protein left at that point. Then have a protein shake an hour before your workout and as soon as reasonably possible after your workout. Remember that the bulk of your protein requirements should be coming from whole foods – chicken, eggs, turkey, fish, lean beef, etc. – so you’re just topping that protein up at the times when your body can make the best use of it. Second up is Creatine. Creatine is probably the single most-studied bodybuilding supplement, and scientific study after study has shown it to be very a very effective muscle-building aid. Throw a teaspoon of Creatine into a glass of water and drink it down at some point during the day on rest days, and both before and after your workout on training days. Rounding out the big 3 is Branched Chain Amino Acids (BCAA’s), namely leucine, isoleucine, and valine. The purpose to supplementing with them is to help build your muscles, and they’re believed to also help keep your existing muscle mass from being cannibalized during intense workouts. Get the pills or powder and have them before, during and immediately following your workouts. Perseverance and patience have to be your guiding lights through your bodybuilding journey. As a skinny guy or girl it will take longer to build muscle mass, and you have to be consistent – while others may see gains while skipping workouts, straying off-diet, etc., you need to be reasonably strict with yourself. But fear not – follow the 5 Hardgainer Tips above and you’ll get the results you’re aiming for in due course.